Sabri Pllana is an Associate Professor in the Department of Computer Science at Linnaeus University, Sweden. Before joining Linnaeus University, he worked for 12 years at the Research Group Scientific Computing, University of Vienna in Austria. His current research interests include performance-oriented software engineering and self-adaptive techniques for performance portability across various heterogeneous computing systems. He contributed to several EU-funded projects and coordinated the FP7 project PEPPHER. He has contributed as member/chair to more than 60 program committees. He holds a PhD degree (with distinction) in computer science from the Vienna University of Technology. He is a Senior Member of the IEEE, a member of the European Network of Excellence on High Performance and Embedded Architecture and Compilation (HiPEAC) and of the European ICT COST Action (IC1406) on High-Performance Modelling and Simulation for Big Data Applications, an associate member of ETP4HPC, and a member of the Euro-Par Advisory Board. 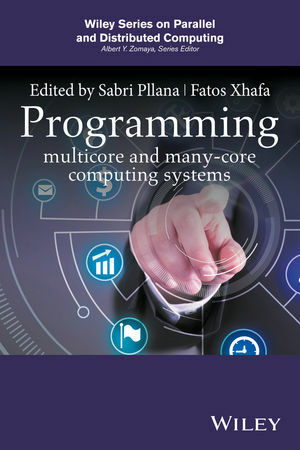 Fatos Xhafa received his PhD in Computer Science in 1998 from the Technical University of Catalonia (UPC), Barcelona, Spain. Currently, he holds a permanent position of Professor Titular d’Universitat at UPC. He was a Visiting Professor at University of London (UK), 2009-2010, and Research Associate at Drexel University (USA), 2004/2005. He has widely published in international journals, conferences/workshops, book chapters, edited books and proceedings in the field. He is editor in Chief of the International Journal of Grid and Utility Computing, International Journal of Space-based and Situated Computing, Inderscience. He is Editor in Chief of the Elsevier Book Series “Intelligent Data-Centric Systems” and of Springer Lecture Notes in Data Engineering and Communication Technologies. He is a member of IEEE Communications Society, IEEE Systems, Man & Cybernetics Society and Emerging Technical Subcommittee of IoT. His research interests include parallel and distributed computing, massive data processing, collective intelligence, optimization, trustworthy computing, machine learning, etc.